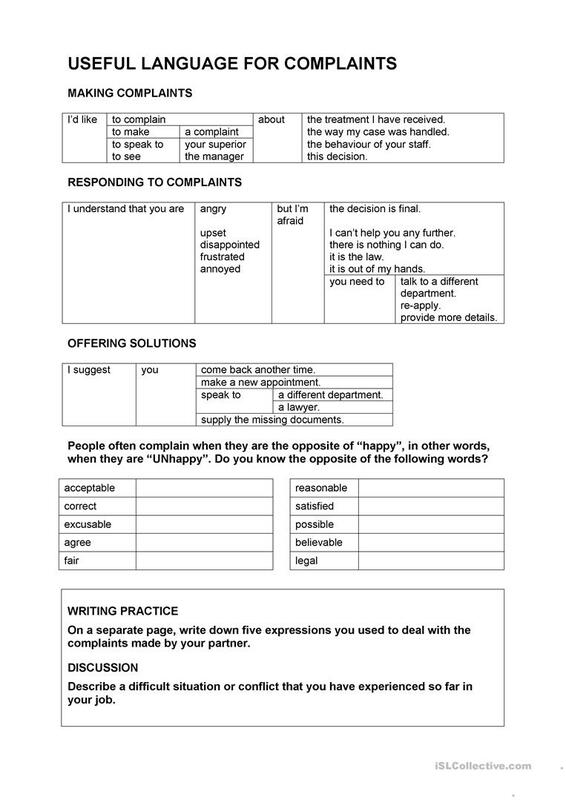 The worksheet was designed for civil servants dealing with complaints in the Immigration Office, but is general enough to be used for other service professions, especially those that deal with providing information, since most of the information for the role play is provided by the students themselves. The above downloadable printable is a great resource for business/professional students and adults at Pre-intermediate (A2) level. It can be used for improving your students' Speaking skills. It is focused on the vocabulary topic of Opposites. sdoverseas is from/lives in Germany and has been a member of iSLCollective since 2012-01-22 14:23:14. sdoverseas last logged in on 2012-01-22 15:00:03, and has shared 1 resources on iSLCollective so far.